The name Sliabh Níadh is mentioned in Buile Shuibhne, the 12th century narrative known in English as The Frenzy of Suibne or The Madness of Sweeeny. Another line in Buile Shuibhne refers to Sliabh na nEach, 'mountain of the steeds', which may be a variant name for the same mountain, although this is further away from the modern anglicised form. Slievenanee is the second highest mountain in the Antrim Hills area and the 434th highest in Ireland. 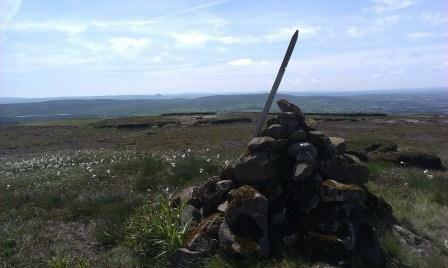 Slievenanee is the second highest point in county Antrim.